After a long period of silence on this blog, I finally found the time to go back to origin chocolate. Colds and bussiness trips kept me busy, but it is hard to resist the call of quality bars! 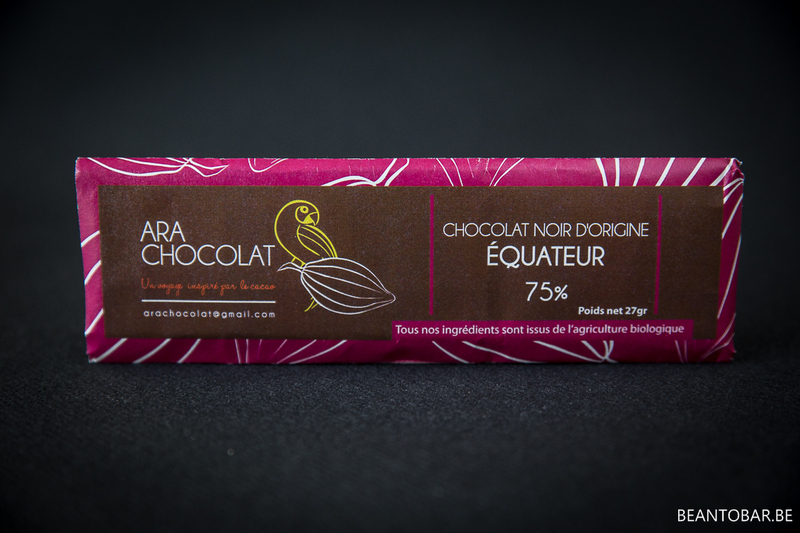 Ara Chocolat, who very recently provided me with two new and exciting bars, are based near Paris is a bean-to-bar chocolate maker which stands out from the usual crowd in Europe. Their special packages and bars offer a steadily increasing range of great origins. They emphasis all the ingredients they use are biological and focus on South- and Central-America. 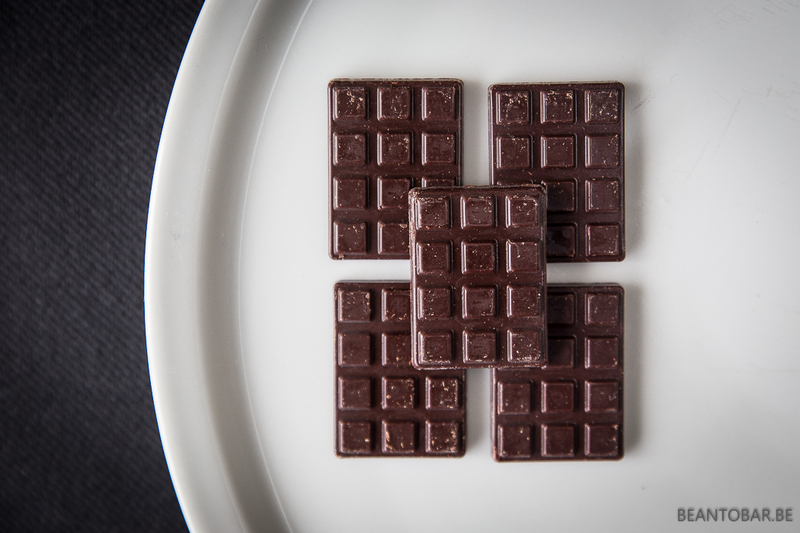 This time we have a bar made with cocoa grown in Equador. Having sampled several bars from this origin, I know we can’t expect a fruity, lighthearted chocolate, but rather one that will be deep and earthy. The vibrant colored wrappers of Ara Chocolat always let my mind wander off to exotic regions. This pink one is no different. The long rectangular shape means it is very different from standard chocolate bars and when you first feel it you might think it’s all broken up inside. But opening it up reveals 5 separate pieces of dark chocolate, neatly packed in cellophane. At just 27g per package they are just the right amount to be savoured in one or two sittings. I’m just fond of the lego-block style of the mold they use. Simple, yet nice to look at. They are nicely molded, without any obvious imperfections and have a nice shine. Taste: slow starting with roasted nut aroma’s. The aroma takes time to build and adds a twist of coconut, brown sugar and vanilla to the mix. The aroma even becomes a touch spicy at one point, as in gingerbread. Suddenly tannins steadily join in and a slight creamy, cheesecake like finish marks the end of the melt and the start of the aftertaste. Going on a bit strong on earthy flavors while a molasse note remains clearly detectable. The texture is a bit drier than I’m used to, the chocolate takes its time to start to melt. The bar will please people who like earthy bars, without any fruity acidity. The flavor shows some masculine tones, but remains rather gentle in nature and won’t offend anyone with bold overpowering flavors. 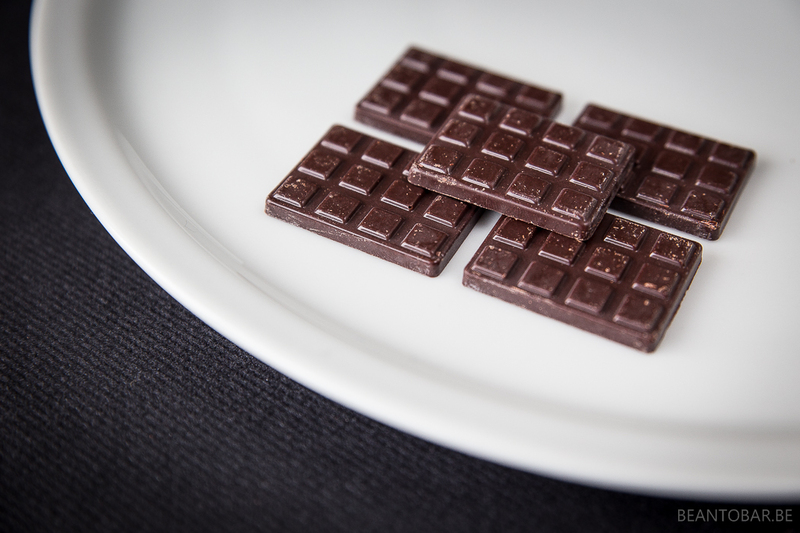 Give the chocolate the time to melt and the taste to develop and you will be awarded with deep chocolate aromas. The tannins in this bar are a bit more pronounced than in most, so some people might find it a bit strong, but don’t miss the chance to try it if you have the chance!